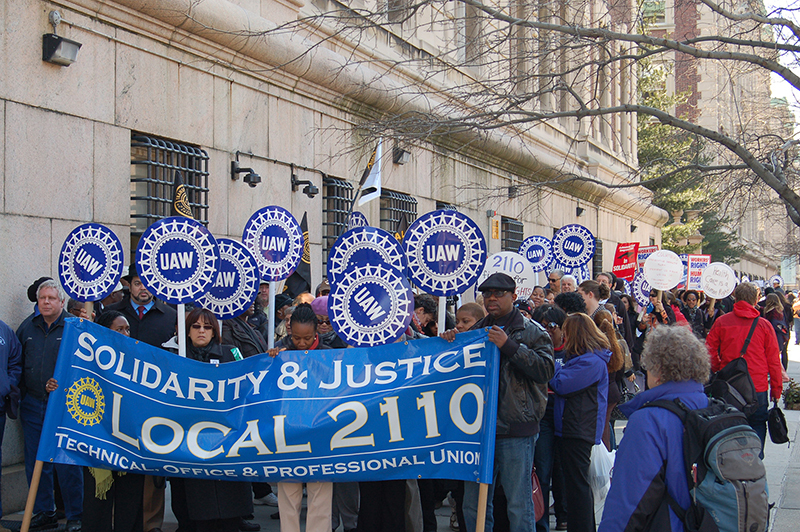 The Technical, Office and Professional (TOP) Union, Local 2110, is an amalgamated union with 30 contracts covering over 3000 workers in universities, publishing, museums, law firms and other offices. We represent teachers, secretaries, administrators, editors, computer operators, librarians, museum curators, typesetters and graphic artists, among many others. Our union has taken a lead in organizing women and workers in non-profits who have never been organized before. We have broken new ground in winning benefits such as childcare, flex-time, job classification, domestic partner benefits and family leave. We have the experience necessary to organize and negotiate for "white collar" workers.